Traditional Savings Accounts are Boring! Open a High Yield Savings Account! Good Morning Green Panda Friends. I hope you all had a nice weekend; it was extremely hot here this weekend which definitely confirmed that summer is here. I always get excited when the sunshine comes out and the temperature rises because that means it’s time to take a summer vacation. If you are like me then you look forward to your summer vacation all year round. I like to take one summer vacation per year, but where I go and what I decide to do depends on how much money I was able to save throughout the year. Throughout the year I save a certain dollar amount from each of my biweekly pay checks via an Automatic Savings Plan. This is a forced savings plan that automatically transfers money from my checking account to my savings account on a biweekly basis. Since the transfer is done automatically I don’t ever miss the money because it is already withdrawn from my checking account before I wake up on pay day. A benefit of an Automatic Savings Plan is that the money is transferred without any effort from us; therefore there is no chance of us making excuses not to save our money. Saving My Money in a High Yield Savings Account! Every two weeks I save my money in a High Yield Savings Account. Savings accounts are a good idea in theory, but in reality they don’t pay a lot of interest. 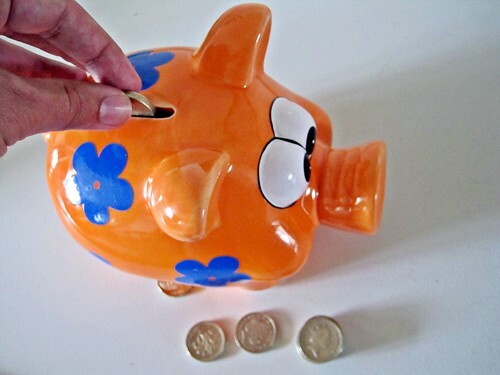 The purpose of a savings account is to set money aside in a separate account from our every day checking account. We always want to have access to this money, but we still want to earn interest on the money that stays invested. Savings accounts are intended for short term investors, if you think that you may need your money in less than two years then a savings account is the right investment choice for you. However, if your savings goal is longer than a couple of years you may want to consider fixed income investments such Real Return and Mortgage Mutual Funds or Bonds. My Automatic Savings Plan is directly invested into my High Yield Savings Account. This is a type of account that is only available for self serve transactions such as online banking or telephone and ABM transactions. In return for the lack of personal service financial institutions offer a higher interest rate on our money in a High Yield Savings Account. ING is currently offering 1.50% on their High Yield Savings Account, and Ally is currently offering their High Yield Savings Account with no required minimum balance and no monthly maintenance fees. The amount of money you save depends on why you are saving your money and how you are planning to spend your money. I definitely believe in saving a percentage (usually 10%-20%) of our pay check, but only if we are saving our money for a purpose. Some of us may be saving in case of an emergency, some of us may be saving to buy our first home, and some of us may be saving for a major purchase such as a vacation. The intended purpose of saving my money is always in hopes of taking a vacation. However where I go depends on how much of my savings actually remain in my High Yield Savings Account. The intended purpose of saving my money is always planning for a vacation but throughout the year emergencies may come up which cut into my vacation savings. The last major trip I took was to Spain in 2009. This year I am going to take a mini 4 day vacation in New York City. But next year in June I plan to visit Naples Italy. I can’t wait and I am doing my best to save my money for my next Euro Trip.